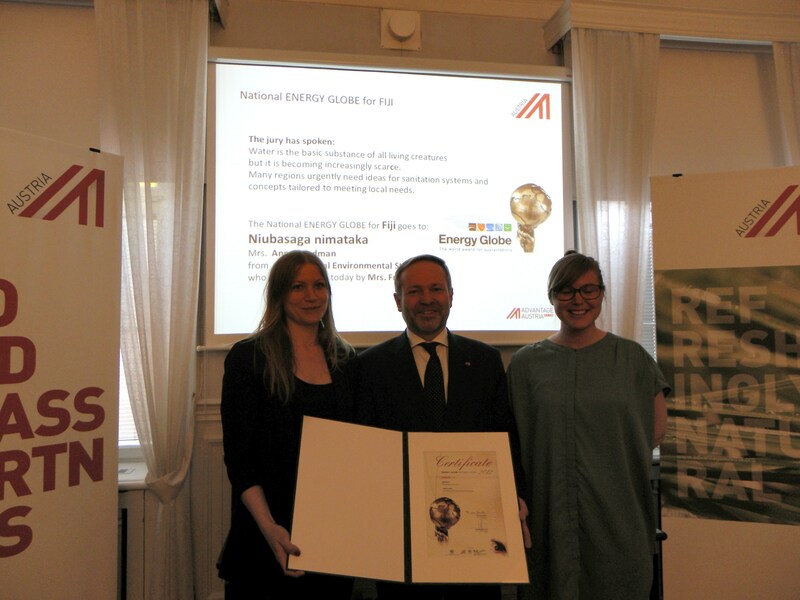 The prize ceremony for the Globe Awards was held at the Austrian Embassy in Stockholm. AES gave a presentation of the project Niubasaga Nimataka before the oficial diploma was handed over by the Austrian Comercial Counsellor Peter Sedlmeyer. 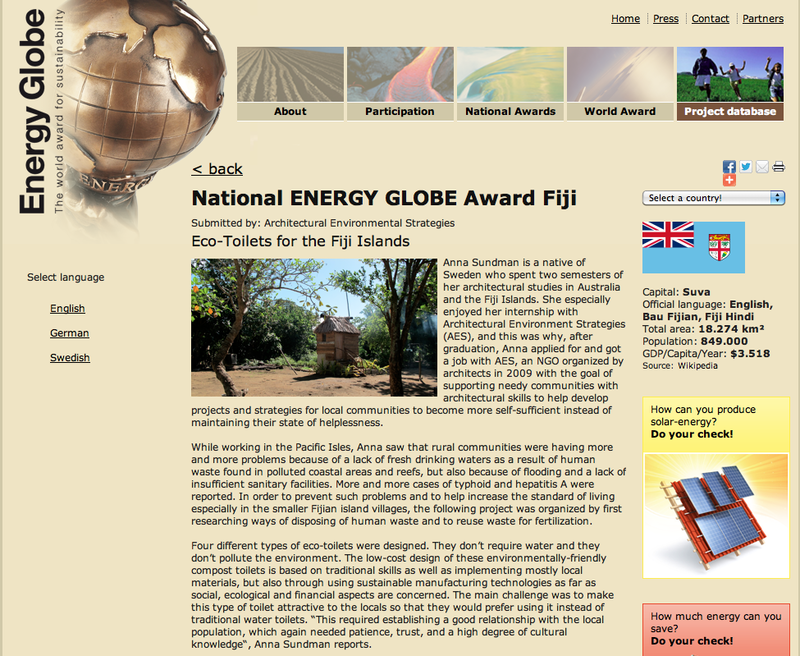 Check out the official webpage here: http://www.energyglobe.info/best2012 and navigate to the national site for Fiji.